And so it is, that both the Devil and the angelic Spirit present us with objects of desire to awaken our power of choice. Power and objects walk hand in hand. For some, the power imbued within an object arose from association. The very contact that an item had with an individual of significance left a residue or some echo of their soul. Like the bonding of a witch with a familiar or the harmony sought between a gambler and their favourite dice, possession would infuse an object with a preternatural quality accessible to others. If you could find something worn by a saint, then you could leverage the power that the saint exhibited in life. Or at least some aspect of it. Conversely, the very drive and purpose of the seeker might have something to do with the influence of the object. The sinner who seeks to make use of a holy relic will likely find the task fruitless, whereas the faithful will experience something quite different. In some ways, the power might seem to no longer lie with the object in that case, but that the object serves as a test of focus and resolve, a mirror to the soul of those who would seek to use it. Therein the words of Rumi echo, for in presenting objects of desire we are tested – and in that test we find those worthy and those solely seeking to better themselves at a loss to others. Doctor Dee on the other hand seems to have seen something altogether different in the power of objects. Relics and items of power neither possessed the power themselves nor served as key to the lock of personal potential. Instead, Dee perceived objects as conduits, a means to harness the vibrations or reflected power that permeated the many layers of reality – surging forth through the supernaturall via the application of the intellectuall to manifest in the physicall, the lowest state of all. 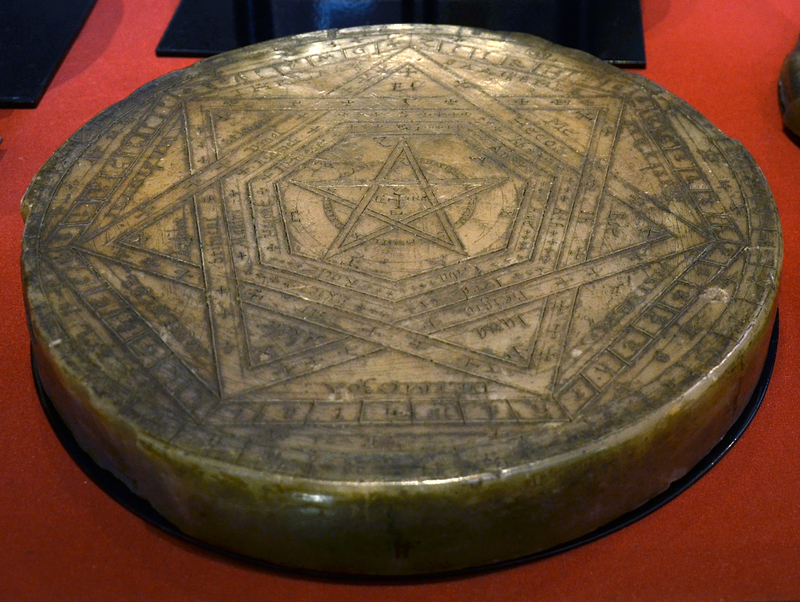 In The Dee Sanction, this reflected puissance manifests both in the Tradecraft of Magic, where characters may use objects to further their ends against powerful entities of the supernatural, or they may seek to harness some fragment of an artefacts potential, rather like a grail – unworthy of the greater power of an object but able to channel some minor fragment. 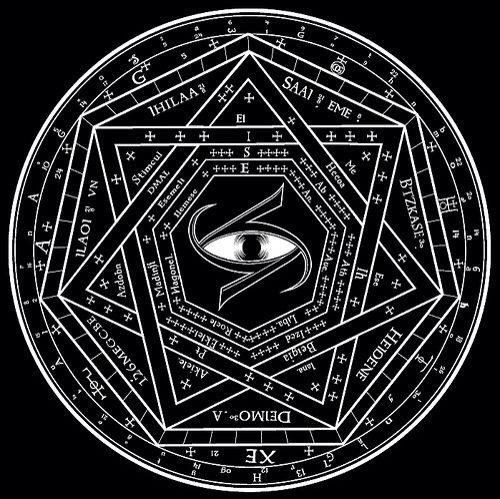 The Black Seal of Doctor Dee, for example, serves as a major artefact, one which the player driven Agents will only rarely use themselves and then only as a means to ward fixed areas against ingress and egress. Mirrors of a certain quality, too, will serve as a medium for communication through the divine ether, like telegrams carried on the words of archangels. Mechanically, using an object with Tradecraft will strike that from the scarce major tool kit the characters have to draw upon as a group; whereas, the application of fragmentary powers will require attunement of some form, specific to the object, and the Challenging a Resource fitting to the task (and set by the Gamemaster). The cost of the Challenge will inevitably drain the Resource, but the specific format (and explanation) of the object may carry with it specifics (in the form of simple Tags) as to the repercussions of failure. Indeed, many artefacts and objects of significance will have keyed random collections of unfortunate side effects and consequences that arise from ill-guided misuse. Agents beware the frivolous handling of potent curios. The Dee Sanction is a game and setting in a steady state of development. It uses a fast-paced, card-based character generation system to get the game up-and-running in moments. Players take on the roles of outsiders, dabblers, and criminals, given a second chance when recruited as investigators into Queen Elizabeth’s intelligence task force for handling magickal and supernatural threats. Headed by her long time confident Doctor John Dee, the setting covers both investigations on home soil and the period Dee spent in Europe seeking to secure weapons of mysticism and devilry. Elizabeth prevails… but for how long faced with the threat of Church, Spain and foul sorcery alike. I realise this is nothing new, but I needed to remind myself that The Dee Sanction remains very much in progress and worthy of my time and attention. This time of year hangs heavy with convention-based commitments. The opportunity to sit and tinker with stories, plots and mechanics seem to dry up. However, I have been pondering the greatest concern for myself around The Dee Sanction – the mechanism for handling conflict and competition. As of yet, I have not settled on a single means of resolving situations in doubt – but, I feel I’m on the cusp. I plan to run the game at a couple of cons over the next few months and continue to aspire to run an online game or two. I’m having an interesting time reading about John Dee and his role as an intelligencer within the court of Queen Elizabeth, referenced in the early sections of The Essential Enochian Grimoire: An Introduction to Angel Magick from Dr. John Dee to the Golden Dawn. While I was mainly looking for more information about Dee’s exploits with Enochian lore, his mysteries don’t start with his pursuits of the supernatural. Even before Francis Walsingham stepped up to the plate as Elizabeth’s spymaster, it seems Dee may have been running secretive errands for the Queen. For the setting of The Dee Sanction, it’s assumed very much that Dee and Walsingham are partners in their intelligence activities. One deals with the mundane, while the other handles those threats less easily quantified. Dee provided assistance and advice to the young Elizabeth from long before her coronation; only later did his effort become, by any measure, public knowledge. In appending the Dee Sanction to the 1563 Act Against Conjurations, Enchantments and Witchcrafts, Elizabeth gave her backing to an official agency in the fight versus dark powers. Whether powers in pursuit of their own ends or in league with the likes of the Holy Cee or the King of Spain, they all come within the remit of Dee and his agents. In reality, it’s hard to see what actually was happening. Dee did serve Elizabeth in some intelligence-based capacity; however, the available information, scattered across diaries, journals, once hidden papers and other more official sources, provides but a fragmentary view. When Dee took to his travels across Europe with Edward Kelley, actual information on the purpose of said journey remains vague. In the face of considerable opposition, from Catholics and others, the Queen had every need to seek support, from both political allies and higher powers. The Dee Sanction follows the exploits of the player characters as agents of Dee, whether in 1570s England or deep in Eastern Europe during his travels in the 80s. Whether on the word of Dee, Kelley, Walsingham, or the Queen herself, the characters plumb the shadows for artefacts, hidden lore, and potential allies. As if to create additional layers of uncertainty, Dee diaries contain several specific references to individuals by the name of Garland. At least four named persons have this same name and the fact they do not appear in any corroborating record suggests Dee used the term as an alias for fellow agents, couriers, or supernatural contacts. Walsingham used a variety of travellers and personalities himself, including writers, poets, diplomats, and merchants. All intelligence was good intelligence in the war against the Catholics – and undoubtedly Francis had a network scattered across Europe, gathering information, carrying messages, and spreading unrest from within. Whether Garland was a codename isn’t clear – but, it could be. The use of Garland could be a specific code for a type of agent, or a reference Dee alone used to identify his own allies or contacts. In some references, it seems like the Garlands might be brothers – which made me think of the Koenig brothers from Agents of SHIELD TV series. However, all weight of evidence suggests that the name signifies something other than familial kinship. I certainly intend to add a Garland to the available character options for The Dee Sanction. Delivering a garland to someone clearly involved something more than just rocking up with a pretty arrangement of flowers for someone. I have been spending a fair amount of time reading, with the intent that some background will fuel creativity in adventures and setting. Here I speak specifically about The Dee Sanction. At heart, the setting revolves around the travels of Doctor Dee and Edward Kelley in Eastern Europe. The good Doctor spent a lot of time out in the darkest depths of the Habsburg dominions, perhaps seeking support for Queen Elizabeth in the face of increasing Catholic pressures and feints, perhaps not. It seems that Dee and Kelley spent as much time getting in trouble as anything else. In a time when witchcraft remained a serious issue with serious repercussions for the practitioners, Dee and Kelley trod a very dangerous path. Kelley, frankly, seems to have been a bit of a fruitcake, and Dee altogether too readily fell for his line. Dee, a man in whom Elizabeth had a great deal of trust, himself trusted in the esoteric prevarications and augurous protestations of a medium and sometime necromancer. In The Dee Sanction, the player characters make up a team of investigators under the tutelage and mentorship of Dee. 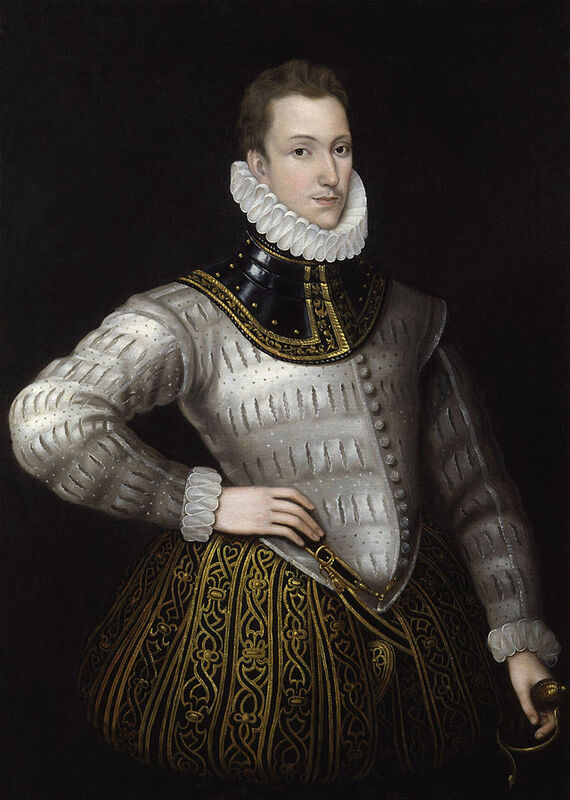 Sir Francis Walsingham, the Queen’s spymaster, has a keen eye in matters of intelligence and espionage. However, even he cannot claim any great knowledge of matters supernatural. The only way to truly protect Elizabeth necessitates fighting fire with fire. In spite of the laws of the realm laid down to punish users of magic – like the 1542 Act Against Conjurations and Witchcraft – Walsingham cannot promise true safety without magic of the light. Walsingham advises an adjustment to the legislation, the Dee Sanction, which allows the formation of an undercover unit tasked with seeking out witches, warlocks and demonologists intent on harming the Queen or his dominions. The setting supports adventures in England, during the 1570s, and thence to Eastern Europe, in the 1580s. Originally, I had my eye on Bohemia and the city of Prague, but this now seems a little too close to the bright lights and riches of nobility. I have come to favour something a little off the ‘beaten track’ and set my Dragonmeet playtest adventure in northern Moravia, which lies to the east of Bohemia. Now, I’m doing a little preparatory work for Seven Hills in April (just a little) and find my new adventure also set in Moravia, this time in the dark forest and ruined fortresses of eastern Moravia, on the border with Silesia. In the summer of 1586, a body lies motionless in the grounds of St James’s Park. Servants and courtiers charge across the well tended grounds, the crack of gunfire still echoing in their ears. A crimson outline spreads from the torn and shattered body of Queen Elizabeth, and with the ragged gasp of her final breath the future of England dies with her. Three years earlier, in the troubled east European border town of Kraznow, a young girl wracked with spasms and tortured by spirits tells of the bloody fall of England’s greatest Queen. Might her words, and the actions of the Dee Sanction, uncover a way to thwart this assassination before it even happens? I’m personally very keen on this continued stretch in my understanding and appreciation of Europe during this period. I have, in the past, focussed heavily on socio-economic studies of Tudor England, so this goes some way out of my normal territory for reading. I’m always up for a challenge – and, I feel, setting the game in this area allows more leeway for game referees who might themselves have little grasp of the period. Distant corners of Europe, filled with dark forests and trackless mountains, might seem more ‘homely’ to those used to running more conventional fantasy games – and perhaps make the setting more accessible. The 214 system is the heart of both Complex 214 and The Dee Sanction, games of suspicion, paranoia and intrigue in very differing settings. Complex 214 takes places in a world of dystopian certainty. Tales of a dystopia driven by fear, bureaucracy and a low level of life expectancy. Born from vats, trained to fill roles with a minimum level of ambition and competency, you live to work and serve the community first and foremost. You have been biologically force-grown to a purified and protocol cleared template – you will not have any Mutation. You have been hypno-trained and edutainment led to work within your defined capacity – you will not have any cause to push or apply skills toward suspect and Unethical Ends. You work hard all day, eat and relax all evening, then sleep through the allotted suspension cycle – you have no time to engage in suboptimal diversions or foster Secret Affiliations. In The Dee Sanction, you serve as part of the travelling support for Doctor John Dee and Edward Kelley, as they voyage through eastern Europe. In 1583, court spymaster Sir Francis Walsingham sent an adept gnostic team to Prague on a mission he didn’t commit to public record. These men journeyed through rough and heretic-infested lands engaged in a task of maximum-security in the defence of the realm from increasing Catholic-fuelled aggression. Today, still engaged in secret activities for Her Majesty’s government, they survive as scholars of fortune. If you have a supernatural problem… if no one else can help… and if you can find them… maybe you can hire… The Dee Sanction. Both games include specially designed six-sided dice, displaying facets of storytelling intended to support interpretation of failure and success. In addition, a deck of cards allows you to rapidly and secretively determine the motivations and special abilities that both differentiate and set your character at odds. Your ends and affiliations drive your success but may also kindle the pyre of your downfall. Beware!